For three students and future entrepreneurs of the Vaal Triangle Campus of the North-West University (NWU Vaal) months of hard work and perseverance recently culminated into success when they came out tops in the Entrepreneur of the Year Competition hosted by the Enterprise Development Centre (EDC) within the Faculty of Economic Sciences and Information Technology. During the final round of this prestige competition the finalists were put through their paces by a panel of expert judges – including members of the Campus Management, the Faculty of Economic Sciences and Information Technology, local business representatives as well as the chairperson of the Vanderbijlpark Chamber of Commerce. The finalists were: Kamohelo Mbanguzi, Nelisile Mogano and the duo Burger Aucamp and Tamen de Lange. After presenting their business idea and feasibility study the audience and panel of judges were afforded the opportunity to ask questions and test the strength of the respective business ideas. 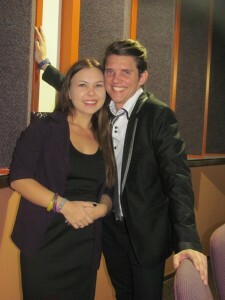 The spoils of the evening went to Burger Aucamp and Tamen de Lange and their business venture, DTF (Down to Fashion). The business idea revolves around the development, production and publishing of a fashion magazine. According to Prof. Herman van der Merwe, Executive Dean of the Faculty of Economic Sciences and Information Technology, one of the core challenges faced by universities is that of bridging tertiary education and the world of work and as such graduate unemployment remains very high. 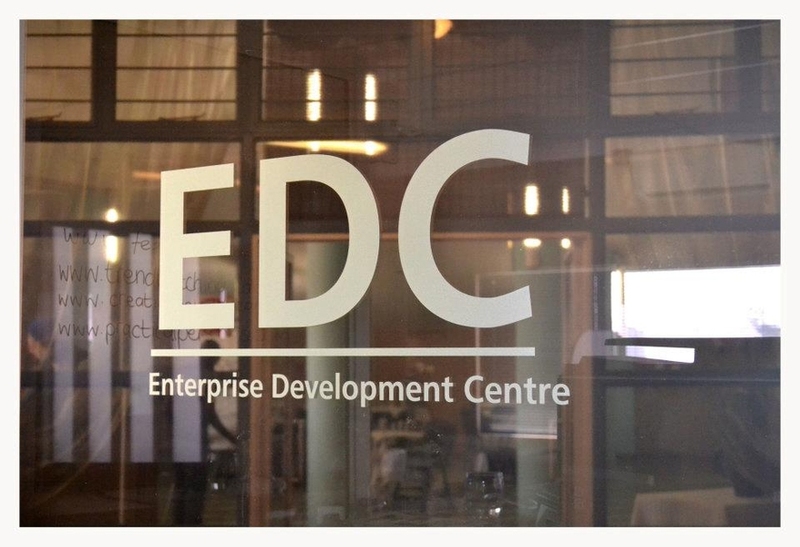 In an effort to address this problem the EDC was established to serve as an incubation facility for entrepreneurship in the Vaal Triangle region. 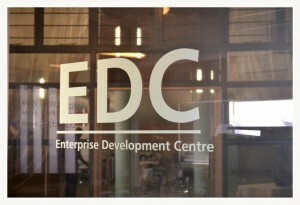 The incubation facility – known as the EDC, represents a dynamic collaboration between the Faculty and the Netherlands Initiative for Capacity Development in Higher Education (Nuffic) and the aim is to position the facility to become the driving force behind the creation of an environment that will encourage the growth and development of entrepreneurial activities and initiatives. The focus of the EDC includes an enterprise development process for start-ups and small to medium businesses by offering pre-incubation, incubation, post-incubation and virtual incubation activities. In short: the EDC supports and accelerates the growth of establishes small to medium businesses through commercialising the Campus’s intellectual property. Article issued by NWU Vaal Campus.